China isn’t simply a country for you to tour on vacation, it’s a destination full of potential discovery with a culture extremely diverse from our own. 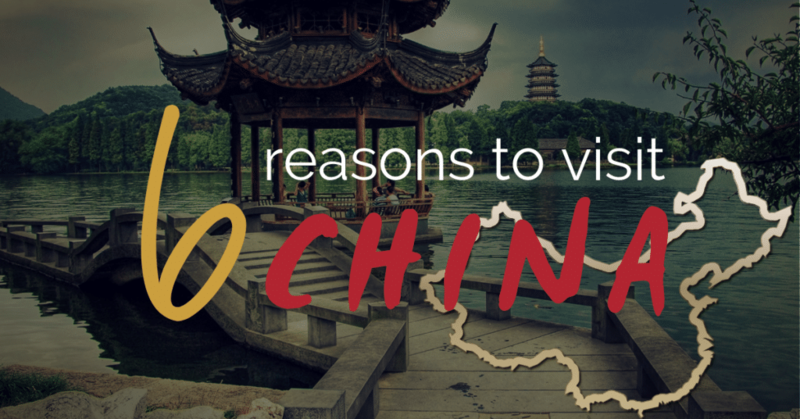 If you’re considering joining our trip to China in April 2019, we have six reasons that China should be near (or at the top of!) your must-visit list. With 5,000 years of culture and history, China is truly one of the most impressive civilizations in the world. Previously one of the Four Ancient Civilizations, China boasts the world’s richest breadth of culture through its history of food, tea cultures, medicine, poetry and art, calligraphy, opera, costume, festivals and so much more. China is well-known as being a world power during multiple times throughout history, which means China has had several millennia to refine its culture. Aside from its natural wonders, China also houses diverse biomes, from deserts along the Silk Road in the Northwest to seacosts in the Southeast, plus high mountains, fertile plains, frozen tundras and lush tropics in between. China even has its own tropical paradise island Hainan, also known as ‘Eastern Hawaii’. China is full of ancient treasures and monumental marvels that exceed other countries in both size and number. From the Great Wall and buried armies, to ancient architecture like city walls, pagodas, temples and giant Buddhas, China is full of impressive wonders to explore. China is home to sites like the world’s largest ancient palace, the Forbidden City, the Terracotta Warriors and the Temple of Heaven in Beijing. Many would recognize China for its contributions to tea and rice, but there is much more to Chinese cuisine, and the food varies by region. If you’re a foodie, you will love the opportunity to try the diverse foods of China. Noodles are a staple in the north, while southerners eat everything over rice. Regions like Sichuan and Hunnan are known for their preference for the spicy, and some of the coastal regions have unique seafood options. 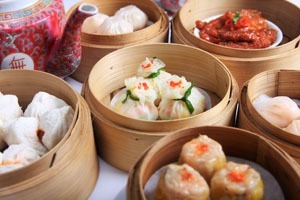 Discover the delights of Chinese food through street vendors, and try the unique dishes from each region like Beijing roast duck, Shanhainese soup dumplings, Chendu’s spicy hotpot, Guilin’s rice noodles, and dim sum in Hong Kong. For a country with as much history as China, it’s only natural that its people have extremely diverse ethnic groups and customs that vary throughout the regions. No matter where you go, you’ll experience a new set of customs, traditions and heritage. You can see the Zhuang people with their traditional wooden stilt homes, or the Yao women with their record-breaking long hair. Visit the Miao village to hear traditional mountain songs and the traditional paper-making process. Walk the mountain monasteries throughout Lhasa and meet the devout Tibetan monks. A visit to China promises to be an eye-opening experience when it comes to learning about other cultures. Although China has a rich history and a land full of ancient cultures to explore, China has also made strides into the digital era with its modern innovations, including high-speed rail systems, mobile payment options and shared transportation opportunities. With just a smartphone, you can board a train in Beijing, buy a coffee, then rent a bike to explore the city. China also houses some of the largest cities in the world and is constantly modernizing its skylines. With the second largest GDP in the world and no signs of slowing its growth anytime soon, it’s important to recognize not only the cultural importance of China, but its growing power influence on the world. Many students study Mandarin and travel to China for education and business opportunities. As an international global power in economic, political and social issues, it’s important for us to understand the actual scope of China’s authority in the world. Ready to take your trip to China? Well you’re in luck, because that’s where the Harrisburg Regional Chamber & CREDC is traveling to in April 2019! For only $2,199, you can join us as we explore the many sites, sounds and wonders of China. Deadline to register is November 15, 2019. Learn more about our travel trip HERE.